Whether mashed, baked , grilled or roasted, people often consider potatoes as comfort food. It is an important food staple and the number one vegetable crop in the world. Potatoes are available year round as they are harvested somewhere every month of the year. Our food ranking system qualified potatoes as a good source of vitamin B6, vitamin C, copper, potassium, manganese, and dietary fiber. Potatoes also contain a variety of phytonutrients that have antioxidant activity. Among these important health promoting compounds are carotenoids, flavonoids, and caffeic acid, as well as unique tuber storage proteins, such as patatin, which exhibit activity against free radicals. Serve in the tin foil. Easy clean up! In large bowl, combine potatoes, seasoned salt, black pepper, garlic powder, onion powder and Parmesan cheese. Divide potatoes and transfer to greased heavy duty foil. Dot with butter. 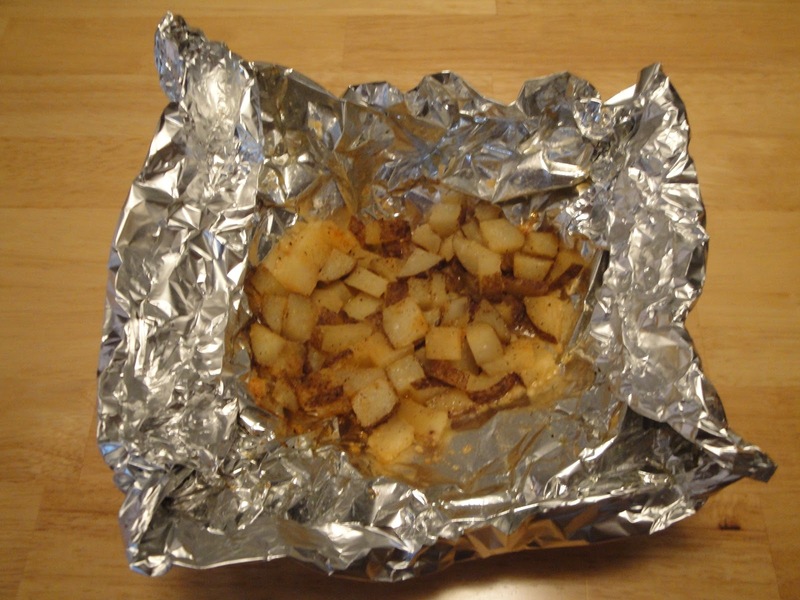 Fold foil around potatoes and seal tightly, place on sheet pan. Bake 15 to 18 minutes. Enjoy! Note: You may also grill these potatoes. Ever since I saw this method on the Pioneer Woman's site, I make it all the time! The potatoes get so tender and a little caramelized. I like your touch of parmesan cheese. This looks like a delicious and healthier way to serve potatoes, nice! Although I am not into eating potatoes because of my recently diagnosed cholesterol, my kids love potatoes in any form. This is such a different way of cooking potatoes. This method of cooking is really so good! Shall try definitely. This is one of my favorite things to throw on my BBQ! Sounds like a fantastic way to prepare the potatoes. I'll have to give it a try for sure. I agree with all comments above - a great way to cook/serve potatoes! I can't wait to try this recipe! Thanks, Allen. What a great idea. You could add rosemary and sage too. Yum what a great way to make potatoes!! !